If you’re hoping to drive an electric car, your maximum driving range with the vehicles currently on sale top out at about 250 to 300 miles. Though this limit will surely increase in the longer term, there are ways of getting around this limit already available today. The most obvious is carrying an onboard generator to charge your electric car’s batteries while on the move, and we’ve seen this in extended-range electric cars such as the Chevrolet Volt and Fisker Karma. Another solution, which will be launched soon, is relying on corridors of fast-charging stations, the first of which could be set up along the I-5 running between Los Angeles and San Francisco. Another option that’s been touted by several automakers in the recent past is relying on a hydrogen fuel cell. The advanced powerplant combines hydrogen fuel with oxygen from the air to create electricity and the byproduct water. This electricity can then be used to power an electric motor, just like in a conventional electric car. So far only Honda and Mercedes-Benz have released fuel cell vehicles to the public, though only through small scale lease programs. However, many automakers are investigating their use as a future propulsion system. 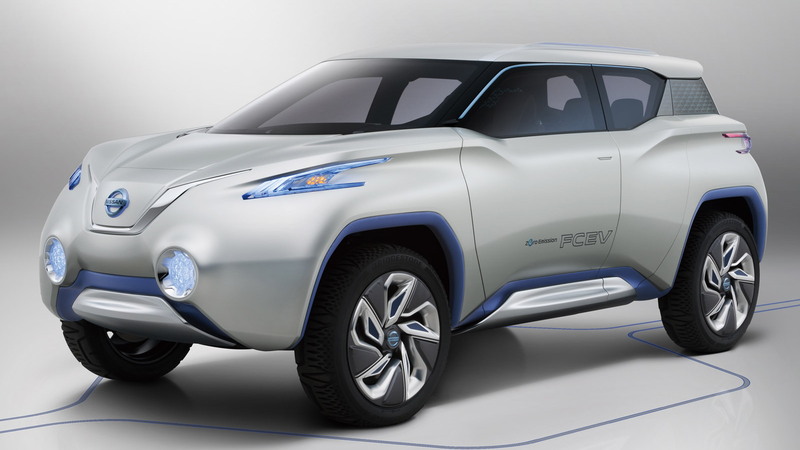 One such automaker is Nissan, which is displaying at this month’s 2012 Paris Auto Show an SUV concept powered by a hydrogen fuel cell. 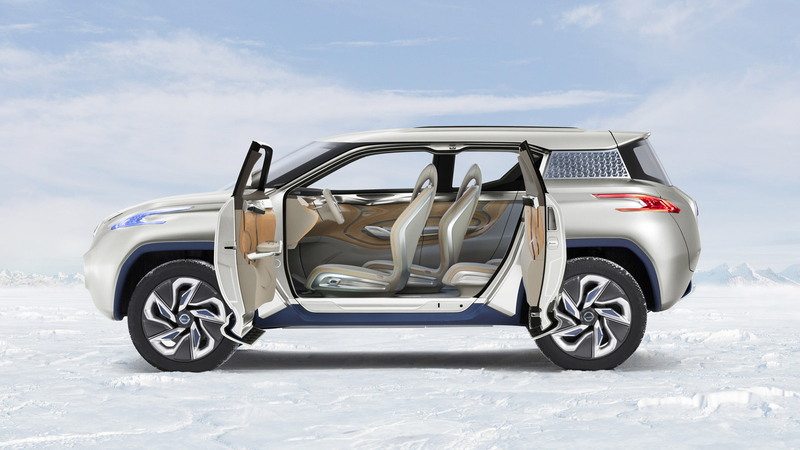 Called the Terra, the design of the new concept combines a tough SUV chassis with a zero-emission hydrogen fuel cell drivetrain. Note, Nissan doesn’t envisage owners of the Terra taking it off-road, rather, it sees it being used in urban areas by owners who enjoy the taller ride height and packaging solutions. Inside the cabin is a light and airy design theme, dominated by a driver-focused cockpit and removable tablet PC that controls all functions of the vehicle and even serves as its key. When docked, the tablet’s default view displays speed and other key performance indicators. But the driver can easily toggle to entertainment, communications, navigation and other views. Outside the car it provides all the functions we expect from a tablet, plus it stays continually in touch with the vehicle. 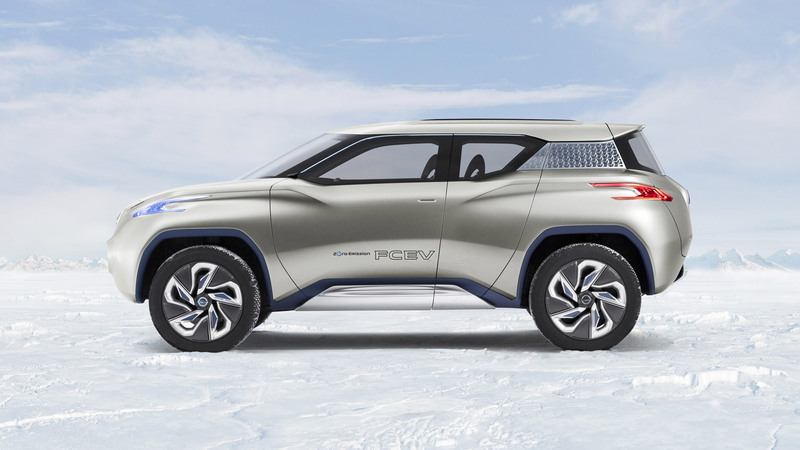 As for the drivetrain, this consists of a pair of electric motors--one on each of the axles--powered by a hydrogen fuel cell with a power density of 2.5 kW/L. 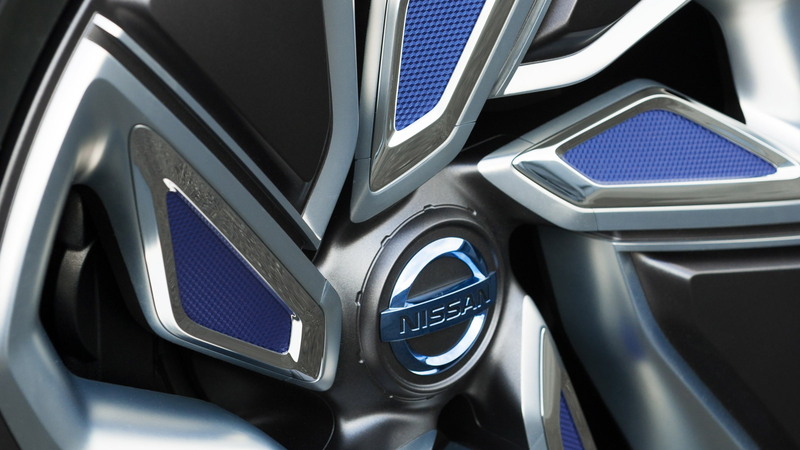 The latest in a series of Nissan fuel cells since 1996, the stack costs just one-sixth of its 2005 predecessor as the need for expensive precious metals, namely platinum, has been slashed to one-quarter of the previous level. 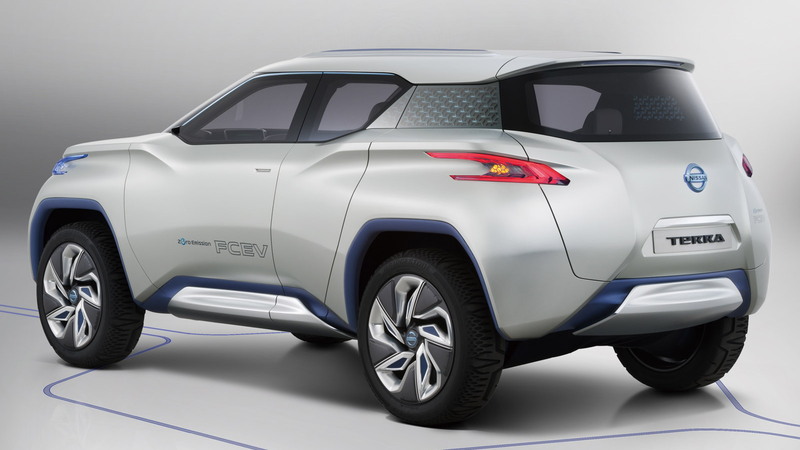 While Nissan is unlikely to put its Terra concept into production, the vehicle does hint at some of the styling and technological aspects we’re likely to see on future production models from the automaker.